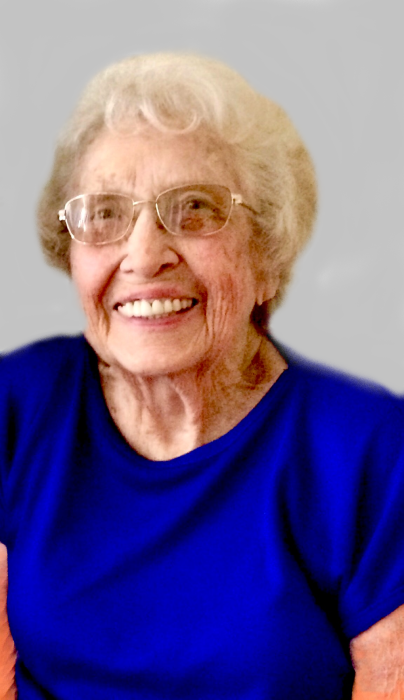 Dorothy M. Swearingin, 91, of Troy, Ohio, passed away on Monday, July 30, 2018, at Hospice of Miami County Inpatient Unit. She was born August 27, 1926, in Miami County, Ohio, to the late Ray and Treva (Divens) Miller. She was married to her husband of 65 years, James E. Swearingin, and he preceded her in death on April 10, 2010. Dorothy was a loving and devoted wife, mother and Grandma. She is survived by her son and daughter-in-law, Michael and Cheryl Swearingin of Troy, Ohio, and daughter, Judith Montjoy of Columbus, Ohio; sister, Velma Custer of Tipp City, Ohio and brother, Arthur Miller of Covington, Ohio; seven grandchildren; ten greatgrandchildren; and four great-greatgrandchildren. In addition to her parents and her husband, she was preceded in death by son-in-law, Tony Montjoy; sister and brother-in-law, Glenna and George Wick; brothers and sisters-in-law, Harold and Ruth Miller and Russell and Dean Miller and Paul and Cleola Miller; and brother-in-law, George Custer. She was a member of the Nashville United Church of Christ. She was formerly employed with General Telephone Company of Ohio for 27 years. She enjoyed sewing and gardening. A funeral service will be at 12:00 PM on Saturday, August 4, 2018, at the Baird Funeral Home, Troy, Ohio, with Pastor Lynn Labs officiating. Family will receive friends from 10:00 AM – 12:00 PM on Saturday at the funeral home. Memorial contributions may be made in lieu of flowers to the Nashville United Church of Christ, 4540 W. State Route 571, West Milton, Ohio 45383 or Hospice of Miami County, P. O. Box 502, Troy, OH 45373. Condolences may be expressed to the family through www.bairdfuneralhome.com.